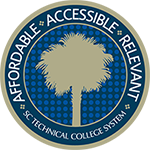 Accessibility is a key tenet of the SC Technical College System. We believe accessibility comes in many forms and transcends just geography. The System provides one of the state’s most flexible paths to a higher education. Our colleges offer students many ways to transfer to four-year colleges or universities. Bridge programs work to provide a seamless transition from one institution to the other. This collaboration gives students program support and services designed to facilitate the transfer process and help prepare students looking to successfully transition to a four-year institution. Students can take advantage of bridge programs in one of two ways. First, the four-year college to which they applied, but were denied admission, invites them to participate. Alternatively, the student applies to a technical college as a transfer student and expresses their desire to participate in a bridge program. Bridge program participants must attain the GPA required by the academic program at the college to which they are transferring. Program participants generally transfer after completing what amounts to a full freshman year of college-level coursework. Students in bridge programs typically experience a streamlined transition to the four-year institution and see greater success after transfer. In addition to bridge programs, there are approximately 1,300 transfer and articulation agreements between our colleges and senior institutions. These collaborative initiatives include program-specific as well as general transfer agreements. A comprehensive listing is available at www.sctrac.org.